Designed for active working people and their needs our range of Hi-Vis workwear provides comfort and are highly durable. With safety our number 1 priority our products all comply with the Australian and New Zealand standards. With a wide range of singlets, vests, jackets, polos, hoodies & shirts, ranging in colours, sizes and additional features on offer, we meet the needs of every work environment. 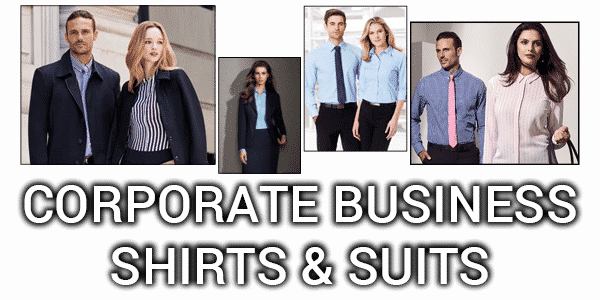 From suiting to seperates, our Business collection will make an outstanding addition to any company uniform. Our uniforms include tailored and semi-tailored business wear for corporations, retailers, educational institutions and organisations. Upgrade your uniform today and use our professional and stylish designs made to last. 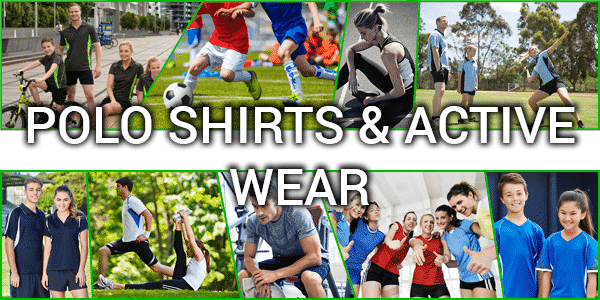 Wether your pumping your weights in a gym, sprinting down a track, playing for your local sports team, or kicking a ball in your backyard, our comfortable and durable high performance activewear keeps moisture away from the skin leaving you feeling refreshed at all times. Polos, shorts, singlets, trackpants – Check out our range now! Stay protected and warm in our wide range of promotional outerwear. Windbreakers, classic, alpine, trek, puffer, polar fleece, vests, hoodies – Whatever style, we have it covered. Rain, sun, wind, or snow, everyone knows the weather is unpredictable, and with our collection you’ll be ready for whatever mother nature brings! Layer up with our Stormtech gear! STORMTECH Performance Apparel is commit ted to developing high performance, technical apparel for industrial and recreational applications; conquering the challenges of extreme and unpredictable climates since 1977. Offering products that are durable, wearable, stylish, provide the best level of comfort and the highest level of technical performance features possible – this is what sets the Stormtech brand apart. Dedicated to create products you can work, live and play in.